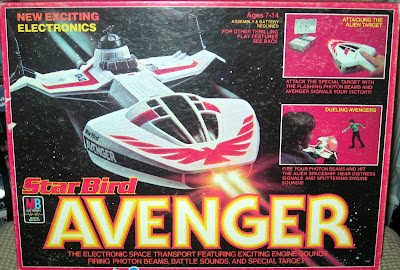 This week at Flashbak, I remembered Milton Bradley’s line of Star Bird toys from the late seventies. 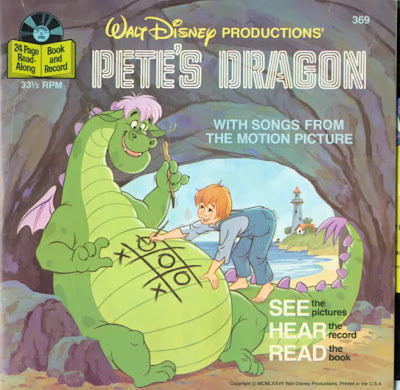 “One of the great toy lines of the immediate post-Star Wars era comes from Milton Bradley. Sold under the umbrella name of Star Bird starting in 1978, these space age toys are much-prized collectibles, especially today. 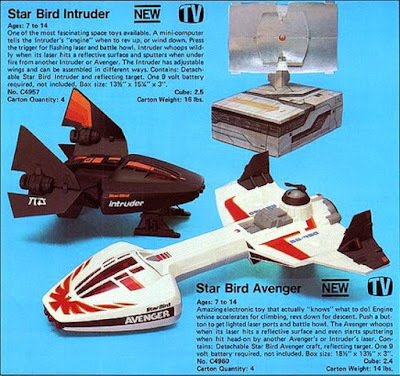 The ship was truly state-of-the-art for the time, because if you owned two Star Birds they could electronically duel with one other. 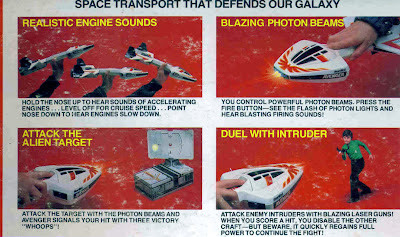 Or as the box put it: "Fire your photon beams and hit the alien spaceship. Hear distress signals and sputtering engine sounds!" 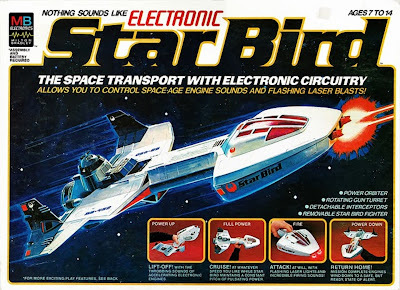 The Star Bird -- like Gerry Anderson’s Starcruiser 1, which I recently covered -- was actually several starships housed as one. Mounted on the dorsal side of the ship was an "escape pod" and cannon, in case of battle damage. Finally, the Star Bird itself could be disassembled to create a smaller fighter by detaching the engine and the cockpit section, and then re-assembling them together without the main hull. 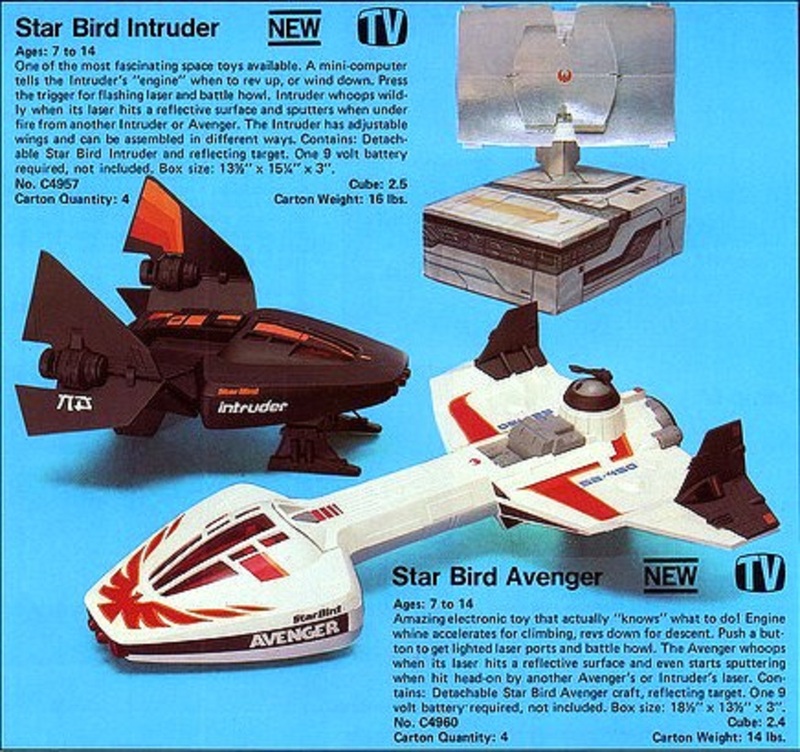 The second toy in the line was the Star Bird Command Base. 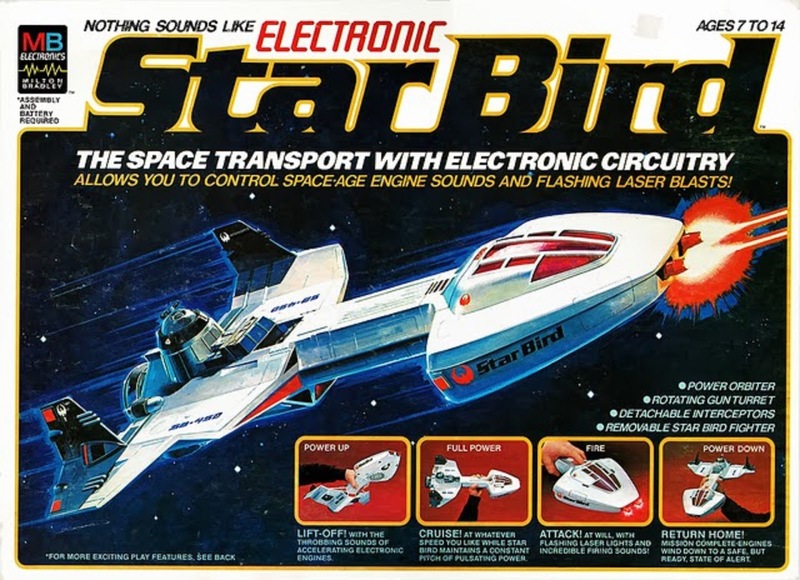 This was a huge “action control center” for the Electronic Star Bird. The best part is the "action plastic parts" on the base. "Um, excuse me, Mom. This is not cheap fiber board and plastic. It's ACTION PLASTIC. Totally different." I so wanted these ships as a child.